Rated: 5/5 reallys - "I like this series because there is always a quest, something missing that needs to be found." Rated: 5/5 reallys - "It’s a really interesting book if you like mysteries." Rated: 5/5 reallys - "Has some funny moments, like when Lachlan plays the bagpipes to the despair of the entire army." At the start, Percy can’t remember anything, but he’s fighting these snake haired ladies called Gorgons. They should have died, I think it was three days ago, when he dropped a whole bunch of bowling balls on their heads. They died then but for some reason they keep on re-forming. He finds an old woman who is actually a goddess in disguise and carries her to the camp. Then he goes to the river Tiber, the river that surrounds the city of Rome. So the gorgons don’t reform, Percy has to throw them into the water, but in doing so he loses his invulnerability. He starts moving into camp Jupiter where they play the war games. Because they have Ambrosia nectar they can heal terrible wounds. They go on a quest to free the god Thanatos, the god of death and save the world from the clutches of earth goddess Gaea. Rated: 5/5 reallys - "Really good!" Rated: 2/5 reallys - "It’s good until the mystery is over (in the first chapter), I would have rated it more highly but there is lots of boring detail about walking to destinations, opening doors etc." I learnt that the atmosphere is like a blanket of air. It tells you about how far we can go. Like an aeroplane can go 10 km up and a spacecraft can go 500 km up. If you want to go into real space it’s about 10,000 km from earth. 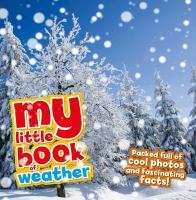 My favourite part of the book was learning about different instruments for measuring sea level. Rated: 5/5 reallys - "I really like reading about Space, my favourite planet is Jupiter, because it’s the biggest planet in the solar system." It’s about a boy called Tom who lives in England in 1605. Catholics were hunted down at this time and at the start of the story Tom has to go somewhere and he meets his cousin and his great aunt. His great aunt is really strict and is harbouring a Catholic. Tom leaves with a mysterious man called The Falcon. He only lets Tom go because he says he will help him. When they get to their destination, he reveals his plan to kidnap a man called Robert Cecil who is the person who apparently started all the Catholic hating. The Falcon travels with a man named Harry Brown and he’s really mean to Tom and doesn’t like him tagging along. Tom is motivated because his parents are being threatened with execution after his father has been found to be harbouring a priest. Rated: 5/5 reallys - "There are twists and I liked that it’s set in the past with factual details." 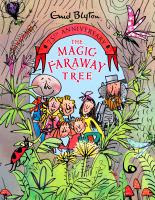 It’s about these three children who find this mysterious tree and then discover lots of different characters who live in it and changing lands to visit at its top. One of their friends, Moon Face, lives near the top and has a slide you can ride all the way to the bottom named the Slipper Slip. The children have all sorts of adventures featuring the tree. The top of the ladder is like a portal into other worlds. My favourite world is The Land of Dame Snap. I like it because you’re always wondering what’s going to happen and how they’re going to get out of it. Rated: 5/5 reallys - "It’s a really good, descriptive book."